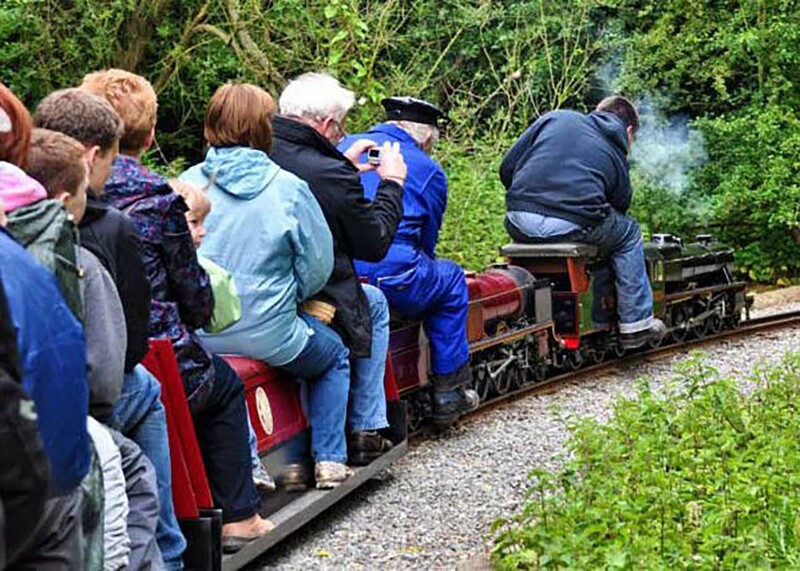 The Echills Wood Railway is operated in Kingsbury Water Park in North Warwickshire by a group of 7¼” gauge railway enthusiasts. The society was established in 1972 and had its base within the grounds of the National agricultural centre at Stoneleigh in Warwickshire. Due to the Royal Agricultural Society of England’s site development and reorganisation there was no longer room to accommodate a railway there. The railway which takes its name from the word ‘Echill’ derived from ‘Eche being an old English word meaning “a piece added or set aside”, which dates back as far as 1000 AD hence the name Echills wood = a small copse that has been set aside.Construction of the railway is based upon a phased development due to the financial situation. The railway will consist of a circular main line, single track from Harvesters station, (adjacent to the main car park) up to the ‘picnic area’ station and returning via a scenic route to Harvesters station (Phase one) From the picnic station, a double track main line will proceed north, terminating alongside the Far Leys car park. (Phase two) The storage for carriages and engines, workshops and loco maintenance areas will be adjacent to the road, Harvesters end. When in full public service, the railway will operate a circular tour with optional change at picnic station for trains to Far Leys car park. This having a combined distance of 2 Kilometres and will be covered using a variety of 7¼” inch gauge steam, diesel and electric locomotives with purpose built vacuum braked coaches. During busy periods we aim to carry over 1000 passengers daily. 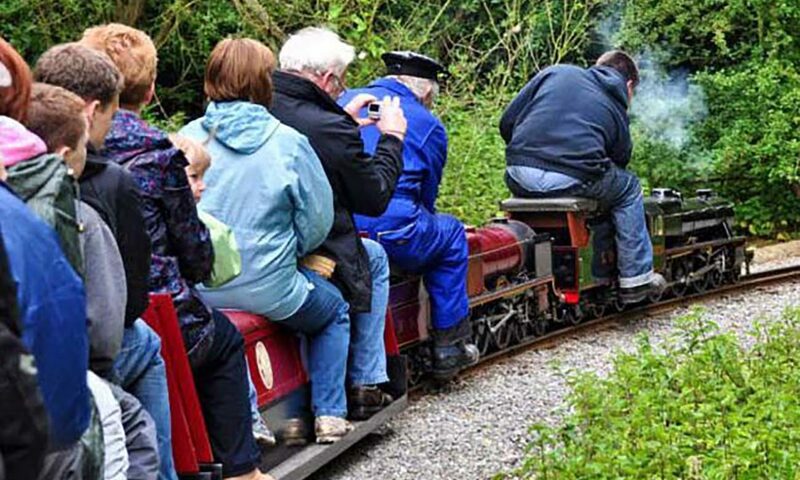 The railway will operate during the year and provide a public service as part of the parks facilities, other times by request, for educational visits in conjunction with the park rangers special events, birthday parties and hobbyist open weekends. 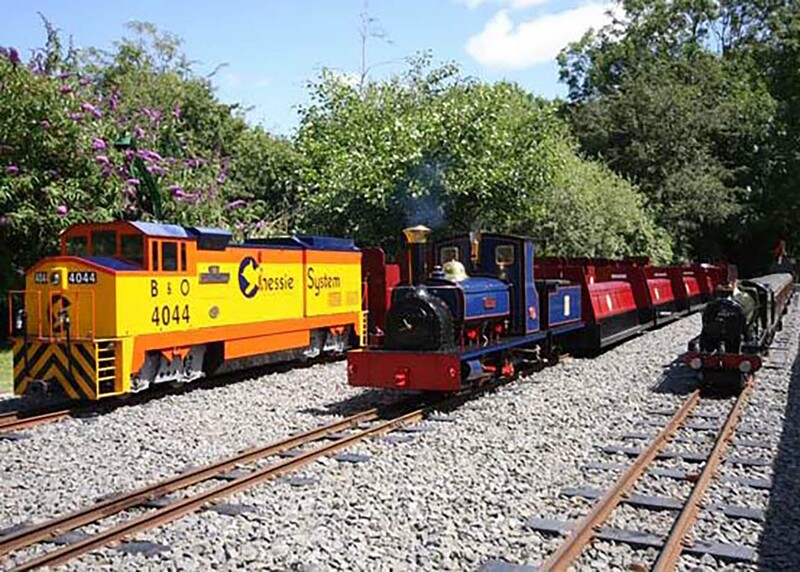 The railway will be operated by it’s creators for their enjoyment and to display the hobby to the public, also allowing the members to have a more comprehensive railway than would be possible in ones garden. When completed, the rail network within the park will be one of the largest and most scenic in the midlands and be able to accommodate virtually any 7¼” gauge locomotive regardless of scale.